The Itty Bitty Kitty Committee: All Gone! 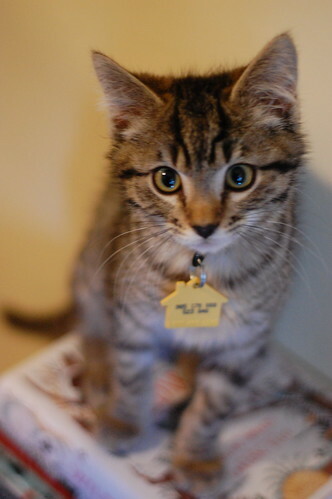 Bess and Wee Willard found a REALLY wonderful family to join, and we're thrilled for all of them. 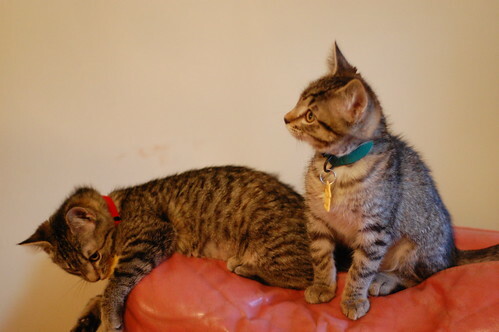 Their new mom, Mel, sent us a vey nice letter of introduction so it was clear from the start, they could provide a good, loving home for a pair of precious kittens. 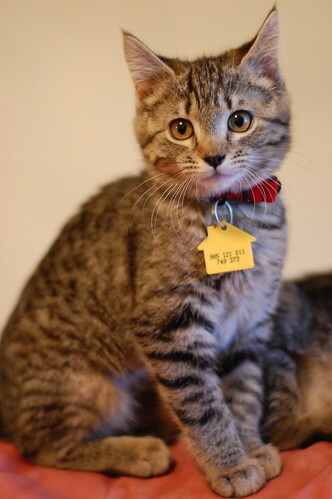 For months Mel and her husband, Noah, had been discussing adopting kittens. They wanted the timing to be right, and they wanted to prepare their girls and talk with them about the proper way to handle kittens, and all the responsibilities that come along with them. I appreciate so much the thought they put into this and all the conversations that were had on this subject. With the hectic holidays, and a huge family party too, they thought it would be best to wait until things settled down before bringing Bess and Willard home. So, on Wednesday, we packed their bags, and off went Wee Willard and Bess. Their new family is loving and devoted and I know the kittens are going to thrive in their care. We couldn't be happier for them. Bye-bye Wee Willard and Bess. Be good little kittens. Write often, send photos. Those little tags and collars always bring a lump to my throat. It sounds like they're off to be part of a great family and that things will be just fine. Bye-bye little ones, we'll miss you. Send an update when you can! May you have a wonderful, loving life! We will miss you, but I know your life will be lovely! 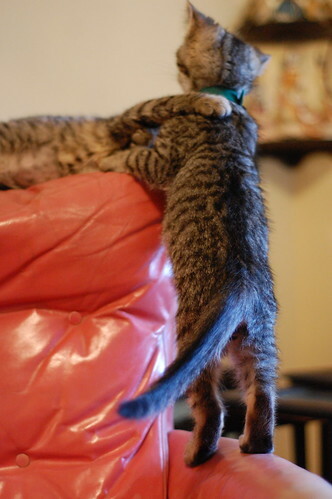 So glad to hear hes got a good home with his lovely lil sister kitten! 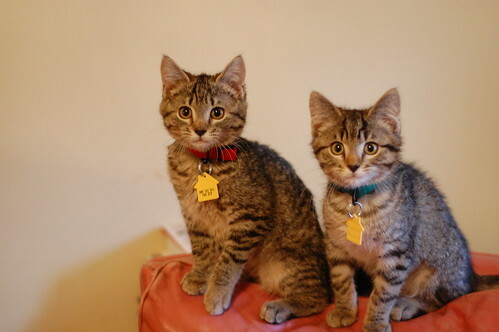 Lovely Christmas colored collars too - Goodbye (not so) Wee Willard and Bess - so glad y'all found a wonderful home together with great parents and some wee human siblings who will no doubt love y'all. Be happy. awwww - mom loves it when siblings get adopted together...twice the joy!! Such lucky little ones! I hope there are lots of updates and pictures to come! Now, there are two IBKC graduates who have really earned their stripes. Have a wonderful life, little Bess and Willard. I will miss you!